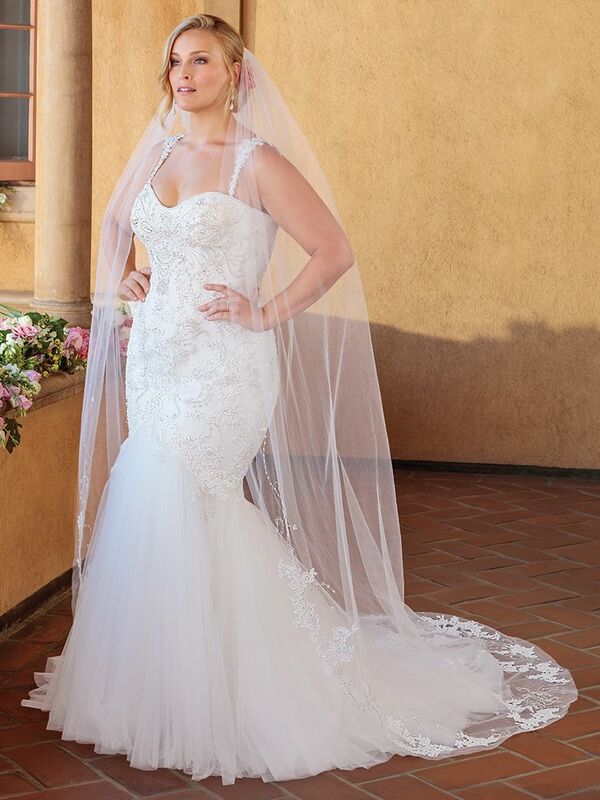 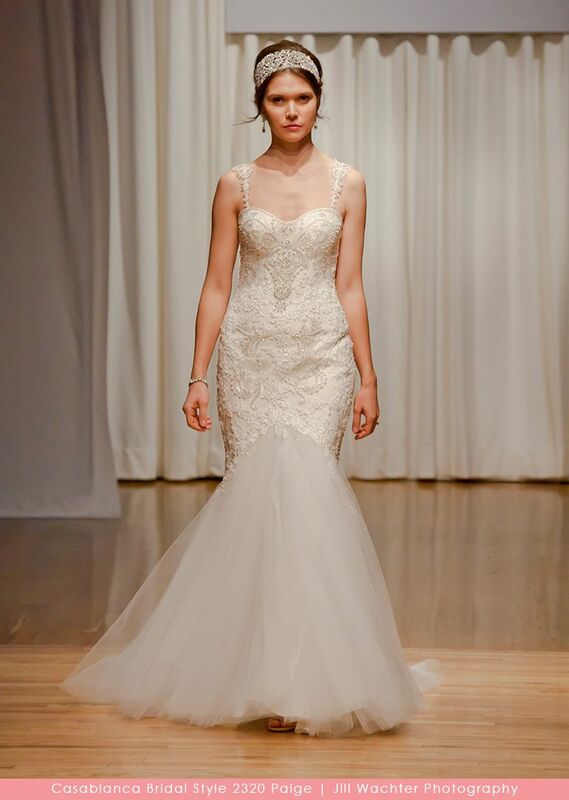 Brides dreaming of beautiful mermaid wedding dresses will fall in love with Paige. Stretch georgette and tulle combine to create the structure of the gown, which is decorated with swirls of intricate beading and lace appliques. 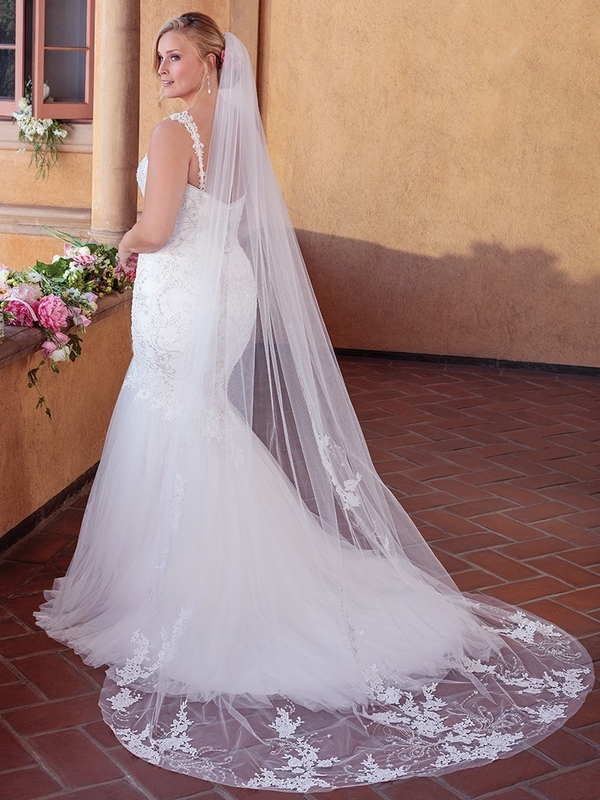 Equally stunning both with and without the detachable straps, the Paige bride will be able to decide which suits her fancy maybe even both throughout the wedding day!